John picked up the gun and checked the chamber—full, of course. Anna hadn’t had time to get a shot off. But what had happened? His head was whirling. He couldn’t make sense of anything. So he did the only thing he could do: he headed for the door at the far end of the chamber. The door with the streaks of blood. It wasn’t easy to open. It took all his strength, pushing and bulging against the steel, gritting his teeth as he pulled the handle down and leaned his shoulder into the thing. But eventually it budged, and opened. It opened onto the strangest scene John had ever witnessed in his entire life. 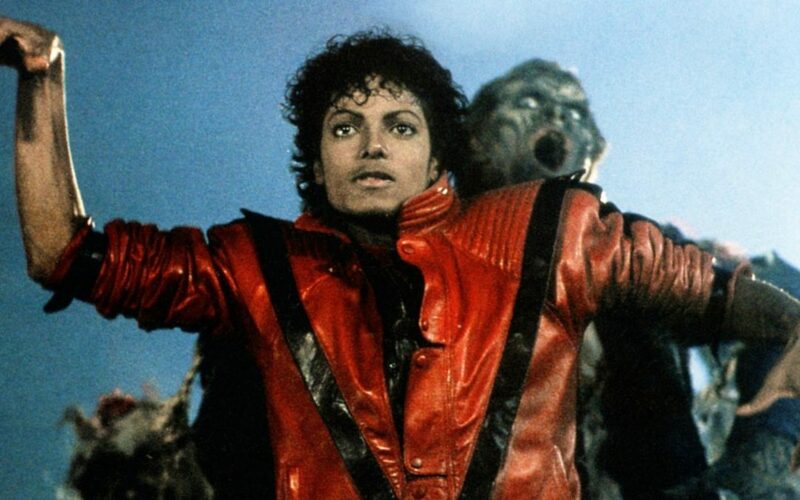 In many literary circles, “thriller” is a bad word. It connotes pulp—fiction purchased by the masses. The scene above (which I made up) exemplifies the basic problem. The three paragraphs end in a “hook”—the thing that keeps the reader turning to the next page. The problem is that this is the “open door” hook. This is the bad kind of hook. This is the hook where you are assured that whatever is on the other side of the door is absolutely the most incredible thing you’ve ever experienced, and you must turn the page to find out what it is. Why is that a problem? Because nine times out of ten, the thing on the other side of the door doesn’t live up to your expectations. There is a better way, though. Let me demonstrate. When he saw what was inside, John almost threw up all over the floor. Anna was there, nailed to the wall, legs splayed out and eyes wide open. Her hair was wet, matted. Her skin was pallid, dotted with sweat. He saw blood dripping from her bare toes. He couldn’t see her breathing. Tears came to his eyes as he fell to his knees, choking. Anna, his best friend. Anna, the love of his life. But then she screamed, and her eyes flashed. It was the most blood-curdling thing he’d ever heard. Okay, I’ll admit that’s pretty pulpy. But let’s ask ourselves what’s different here. Is this a better way to end a chapter? I think so. Why? This is the “through-the-door” hook. Instead of opening the door and cutting, we show you what’s on the other side of the door. And what you see through the door is, in fact, the worst thing you can imagine. Then we cut to the next chapter. Thriller pacing. Many revile it, but you can’t deny how well it works. Today, I’d like to discuss something I’ve been thinking about for a long time. I’d like to talk about the advent of e-readers and their effect on reader psychology. Kindle is the new way to read. And Kindle has something physical books don’t have: time estimates. It’ll tell you how much is left in the chapter or in the book. It times you, you see. It knows how fast you read. And this has a profound psychological effect on readers. See, I read primarily at night, just before bed. I give myself about an hour of dedicated time. And every time I go to a new chapter, I check how much time is left. If it’s short, and I’m interested in the story, I keep reading. If it’s long—say 15 minutes or more—I consider whether to stop. You have to have really hooked me if I’m drawing close to bed and you present me with a long chapter. So for me, shorter is generally better. I’ll give you another seven minutes of my time. But how long is that, really? Here’s what I’ve found: 1200-1500 words is about 7-8 minutes of reading. So a 15 minute chapter is probably in the 2500-3000 word range. In my experience, this is a fairly long chapter. You need some pretty interesting things going on if you want to have a scene that long. Some authors go even longer. They insist on 5,000 word chapters—even 10,000 words! Can you imagine? Epic fantasy is the worst at this. Thing is, you don’t have to write like that. There’s literally nothing stopping you from cutting it up. My novel Attention Deficit is a good example. I first wrote it as a novella of 41,000 words, split into four chapters. Now, each chapter had dozens of scenes, but it was still only four chapters. And as a result, the pacing felt incredibly slow. So what’d I do? Pretty easy. I chopped the thing up into 1200-1500 word chunks. I tried to cut when there was a hook, but only good “through-the-door” hooks when possible. Sometimes there was no hook at all. Sometimes the scene just came to a nice, emotional end. See, that’s the trick with thriller pacing: variety. And what happened? Well, with only minimal changes to the actual text, the book now reads incredibly fast. It’s a roller coaster ride. And all I did was change where my chapter breaks were. I’m a fan of this technique. All my books are written like this—especially after my experiment with Attention Deficit. This is the kind of thing that keeps me up at night, reading the book until I can’t keep my eyes open. And why wouldn’t you do it? As long as you don’t pull any cheap tricks on the reader—no open doors that only have dumb things beyond them—you’re doing them a favor. You’re keeping them intensely entertained. Isn’t that what we all want, after all?